As you probably already know, unlike water, potatoes, and many top-selling pharmaceutical drugs, it’s virtually impossible to fatally overdose on marijuana. What you might not realize, however, is that this remarkable attribute of weed stems from the fact that the human body actually produces its own « endogenous » cannabinoids (chemicals otherwise unique to the cannabis plant). 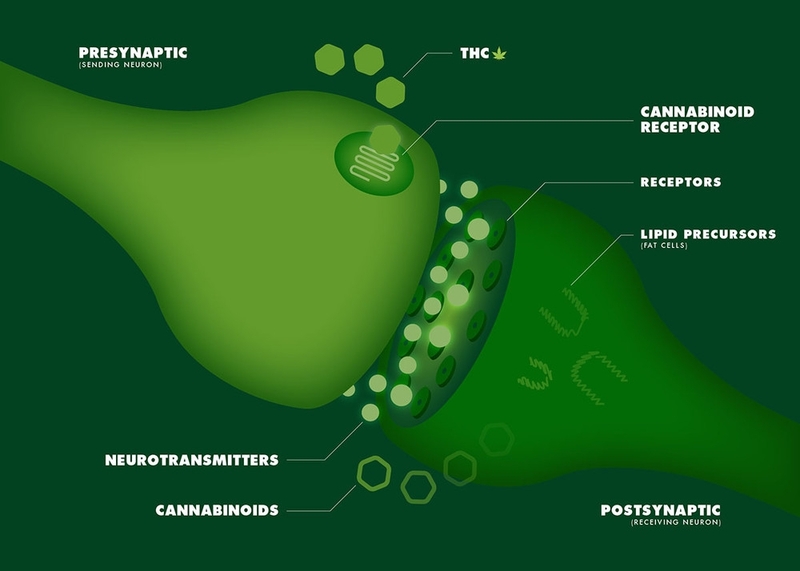 These cannabinoids—whether formed in your brain or inhaled via a nice fat joint—fit neatly into a series of specialized receptors located throughout the human body, with their greatest concentration in the hippocampus (which regulates memory), the cerebral cortex (cognition), the cerebellum (motor coordination), the basal ganglia (movement), the hypothalamus (appetite), and the amygdala (emotions). Cannabinoid receptors are similarly found in « every animal species down to the sponge, » Dr. Donald Abrams, chief of hematology / oncology at San Francisco General Hospital and a leading medical marijuana researcher, told VICE’s Krishna Andavolu. Dr. Abrams was speaking to Andavolu about cannabinoid receptors for the first episode of Weediquette, our show about all things weed on our new TV channel, VICELAND. The episode explores the potential therapeutic benefits of THC in children with serious illnesses. When compared to the side effects of other drugs commonly prescribed to kids with cancer, the decision of parents to administer large doses of highly-concentrated cannabis oil to their sick children seems to some the better choice.